Unlock real-time data sources. Automate decisions to capture more customers. Slash fraud and risk. 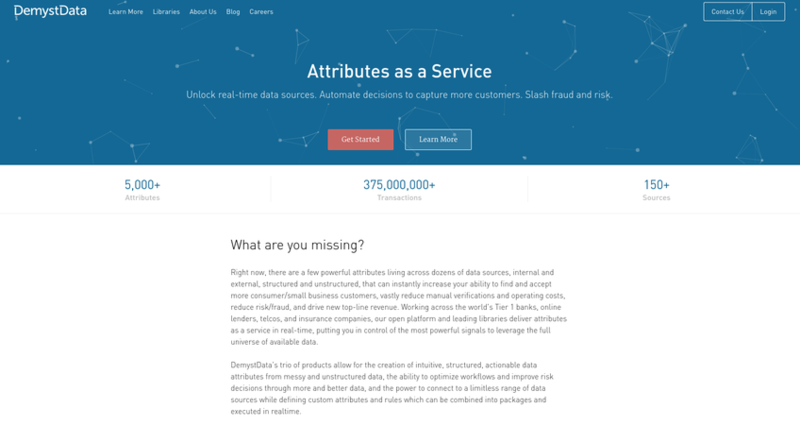 DemystData's trio of products allow for the creation of intuitive, structured, actionable data attributes from messy and unstructured data, the ability to optimize workflows and improve risk decisions through more and better data, and the power to connect to a limitless range of data sources while defining custom attributes and rules which can be combined into packages and executed in realtime.